(Click Here) To See Our Utube Video about Your DOT Medical Exam. $50 DOT Physical Exam near Riverside, California Call (951) 454-0607. Pass Your CDL Physical Exam! Dr. Ghods knows how important it is that you continue your livelihood as a commercial driver. With his extensive knowledge of the DOT Physical Exam medical guidelines, Dr. Ghods will steer you through the DOT Physical Exam requirements so you can Keep on Truckin’. 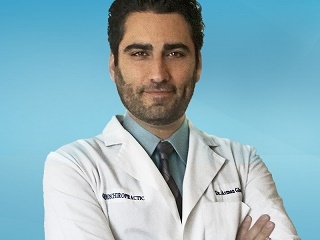 Put Dr. Ghods’ knowledge and experience to work for you! Need your DOT Physical Exam Today? We know your time is valuable! Same Day Appointments are routine, just give us a call! No Waiting! We are committed to getting you back on the road in no time. Get the friendliest, fastest and no hassle exam of your career! Little to no wait time and walk ins are always welcome. We are conveniently located on Odyssey Drive in Corona, CA. Looking for a DOT Physical Exam or CDL Physical Exam near Riverside, CA? You’ve come to the right place! Serving the Riverside, CA Area! Dr. Ghods is a Certified Medical Examiner in the National Registry providing DOT Physical Exams for commercial drivers. In addition to performing ethical CDL physical and helping drivers maintain their livelihood, we strive to be the premier, most experienced neuromusculoskeletal healthcare service provider for personal injury and workers’ compensation in the Inland Empire Area. Our offices provides quality care in a cost-efficient, outcome oriented environment.